Well, Barnes and Noble is having some issues, and I am no longer on their website at the moment. Hopefully they will rectify this soon. A couple of readers have completed the book. So far I’m getting nothing but positive comments. Also, I have begun to read the story myself as an actual reader versus editor. I really do enjoy the story. Beautiful Door County is a great place to be enjoying this story! Sales are moving along. Sold four myself last weekend and one here in Door County. My friend Paul has only read the first chapter thus far. Guess the story is more “me” than I had thought, because he said it felt like it was me reading it to him. So funny. Those of you that are reading it, I hope you are enjoying it. Highway to Love is now also available on Barnesandnoble.com! My first order of books has come in and I’ve been signing them at the request of my purchasers! Also signed three books ordered thru Amazon by Mary this past weekend. I find this whole signing thing kind of awkward, but I’m getting better at personalizing for each person that I know. Thanks for your readership. If you like it, please rate it on Amazon and/or Barnes and Noble! It is finally official. 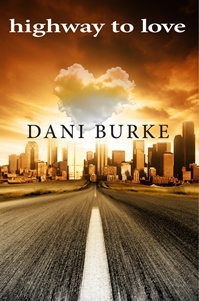 As of late yesterday afternoon, Highway to Love by Dani Burke (that would be me kind of) is published and on Amazon.com! Yahoo! I just heard back from the publisher. They uploaded the interior and cover files to all distributors and are waiting to hear of their acceptance. This will happen in the next 48-72 hours — Amazon being the fastest. They could hear from Amazon as early as tomorrow, but they don’t have any control over that. It will post on Amazon first, and then the other distributors will post in 2-6 weeks. Amazon post will have an initial posting, and then it will build (over a two-week period). It will have the “Look Inside” feature, but it takes time to build. What you may see is title information and the price information go up initially, then the cover image to follow — again, it just depends. If the files are accepted by Amazon as early as tomorrow, we could be ready for sale by Thursday. I’ll keep you posted! Hurray! I just finished reading Highway to Love. Again. Just a couple of tweaks. I’m so grateful for these extra two holiday days to complete this. I’m sending it off today with my approval to get uploaded once they make these small changes. I’m getting so excited that we are getting so close. If it gets uploaded early next week it could be ready as soon as Friday (maybe). I’ll keep you posted!